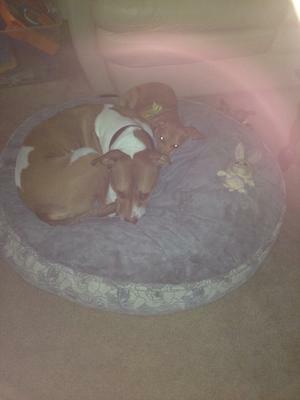 I bought my dog a new bed and was getting them comfortable on it. I was talking and out of no where my sister that passed away 2 years ago name slipped out of my mouth. I questioned that out loud....then kept snapping pics. I glanced at photo but want pleased so I left it alone. Later that week I opened the picture to fully view it. When I saw the pink light around the dogs bed. It all made sense! I had saved my home a few days prior to this. True pink love. I know a man that shrines pink. My scared ill never see him again. Hes perfect for me. I want to know if its him that my heart loves. More and more I think it is.